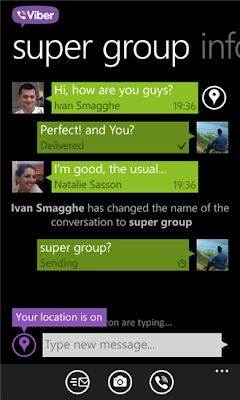 ﻿The redesigned Viber app for Windows Phone 7.5 offers free calls with HD sound. Connect in group conversations with up to 40 people. The app, which syncs directly with your address book, also makes it easy to share photos and your location.